Wow, we are now more than half way through this course. Thanks for all of the hard work you have been putting into your learning; it shows! Videos: Listen, networking is complicated! I suggest you watch the online videos I send you for each chapter, but especially for this one. They do a wonderful job of explaining some of the harder-to-grasp topics (such as network topologies!). Grades: The mid-term was due Sunday at midnight (10/11). I will transfer the grades over from SNAP to ANGEL in the next couple of days. Please note, the mid-term is an excellent preview for what the final exam might look like. For any other assignments you wish to review, be sure to click the rubric for feedback. There is no other way for you to know what to improve other than seeing how you met/struggled with each criteria. 6.1- Differentiate the use of networks to share data and computing resources in the workplace and at home. 6.2- List the components in a communications system and describe the types of signals and typical transmission speeds that travel over the system. 6.3- Recognize types of wired transmission media and list wireless transmission systems in use today. 6.4- Explain the role that network standards and protocols play in communications and give examples of commonly used wired and wireless networking standards. 6.5- Describe the three characteristics used to classify networks and give examples of typical network classifications. 6.6- Identify and differentiate among various networking devices and software that enable you to send and receive data. 6.7- State the reasons why network security is important and give an example of a security device. 6.8- Summarize trends that affect the future of networking. Your computers and mobile devices depend on a communications system to send and receive data over a network. Without such a system, you couldn't send emails and text messages, update your Facebook status, send a Tweet, download music, or share a printer with other computers. Whether you're downloading a new app, sharing a file or a device with other computers in your home or office, or tapping into the resources on the worldwide network that is the Internet, understanding how to use the power of networks to share with others can make your work easier and your life more satisfying. Read Chapter 6 in your Our Digital World (3rd edition) textbook. This includes pages 161-195. Watch the online video resources. These will emphasize important topics from throughout the chapter. Section 6.2- What happens when you send a message over a network? Section 6.3- How do our wireless gadgets work? Section 6.4- What are SMTP, POP, and IMAP? Section 6.4- How does Bluetooth work? Section 6.5- What is a network topology? Section 6.5- What's the role of a hub and switch in a STAR network? Section 6.6- How do I setup a wireless home network? Section 6.7- What is the difference between a hardware and software firewall? Section 6.8- How can cloud computing save businesses money? Location-Based Services (LBS) available for smartphones have opened new doors to managers who want to keep a watchful eye on their mobile workers. Service agreements are available with a company’s cellular provider to log employees’ movements, including enabling tracking when the employee has entered or exited a predefined region (called GeoFencing) and to send an alert when a specified speed limit has been exceeded. While LBS has obvious safety benefits (such as locating a mobile worker who may be lost or in need of assistance), is there a point at which an individual’s right to privacy is at risk with this technology? If yes, where would you suggest this tracking technology has the potential to invade an employee’s privacy? Assume you are a manager at a company that subscribes to LBS. How will you address any privacy issues raised by your employees about the data you will receive from the mobile device? You should post your original post by Wednesday and your TWO peer responses by Sunday of the week this work was assigned. 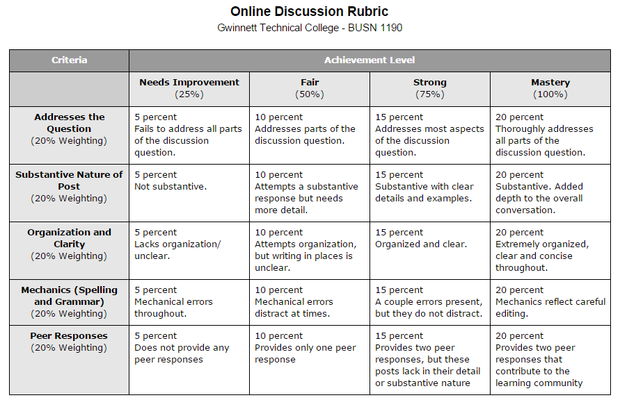 Please review the online discussion rubric below. Due to ongoing issues regarding the improper use of company-owned computing equipment, the executive board has asked you to draft a new corporate policy on acceptable computer and network practices. You will be assigned to write a section for the new policy on one or more of the following topics. The topic you will work on is determined by your birthday, as indicated below. Example- If you birthday is in October, your assigned topic is Internet shopping. I encourage you to research company technology policies to see what your submission may look like. However, please remember that your work needs to be 100% original. ** Please note, your submissions will be run through a plagiarism detection tool. Be sure that ALL of the work you submit is 100% original. Take the chapter quiz in the SNAP assessment platform. I recommend you use the following resources in order to prepare for your assessment. Enrichment: Want to Learn Even More? Bluetooth LE (BLE), which stands for Bluetooth low energy (also referred to as Bluetooth Smart), is the new Bluetooth standard that uses less power to communicate. In May 2015, Fujitsu, the Japanese technology company, announced that they had developed “stamp-sized wearable sensor tags that can detect whether users have changed their location or posture, fallen down, or are experiencing high heat.” In practical applications the device could be worn as a wristband or a badge on a shirt or coat, or attached to an object such as a walker by elderly homeowners, hospital or nursing home patients, or workers in the field who might be at risk of falls or extreme temperatures. With this technology, the ability to respond to individuals in distress or a dangerous environment could save lives. This activity is optional. However, if you are a podcast fan -- or even if you aren't -- you may want to download the Podcast relevant to this chapter. Chapter 6's podcast is titled “Networking Your Life." The podcast interview reveals how networks in the future may be transparent to the end user. For example, you might bring a new device into your home and the device will connect automatically to your home network because the network knows who you are.